Honesty and integrity are absolutely essential for success in life – all areas of life. The really good news is that anyone can develop both honesty and integrity. 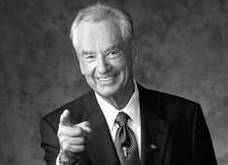 – Zig Ziglar, author, motivational speaker, salesman. There is a short-list of values that are essential to all leaders. One of the most important among them is honesty1. Why? All human interaction is, at some level, based upon trust. Conceptually, even “contracts” are based on trust; they just happen to be codified. For leaders this means that to be successful in what you do, in work or life, to lay the groundwork for trust to occur, you yourself must be an honest person. The senior executive leader ought to believe in and live as an honest person. Just as important, the leader must be scrupulously perceived as being honest. Through one’s word and deed is honesty demonstrated. Honesty cannot be fabricated – it is the easiest value to see when it is present and to detect when absent. At the U.S. Army military academy at West Point, the Cadet Honor Code reads simply that “A cadet will not lie, cheat, steal, or tolerate those who do.” In a word, honesty. Shades of gray are not in the dictionary of the cadet. An act is either honest or it is not. They do not tolerate those who are dishonest and rightly should not. Their profession demands honesty in all things, else there is a potential deadly price to pay on the battlefield. Being honest also means accepting bad news when it is brought to your attention and conversely communicating bad news as necessary. The saying that bad news does not get better with time is certainly true. One must be honest enough to tell those responsible that something bad has occurred and that they must know about it. Only this way can timely solutions be used to resolve it. When at their best, senior executive leaders do not tolerate dishonesty. They create a culture of honesty through training, action, and reminders, keeping in mind that this will pay dividends to the organization and to all employees. Honesty: uprightness and fairness; truthfulness, sincerity, or frankness; freedom from deceit or fraud.